SAM DJ 2018.7 is a reliable application that comes bundled with professional tools designed for audio mixing. Upon initiating the software, follow a quick wizard in which you can add audio files to the media library, default special effects and demo files, as well as select playback and recording audio devices. SAM DJ 2018.7 64bit is a fully featured, professional DJ system for Windows PC designed to meet the needs of even the most demanding mobile DJs! 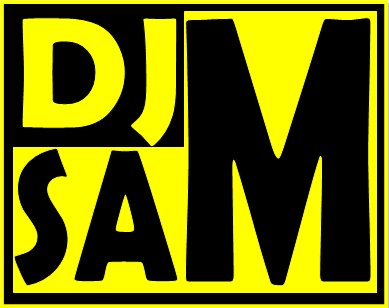 If you are serious about your music, then SAM DJ is for you. Features dual decks, crossfading, beat matching, karaoke, gap killer, large media library support, drag & drop management, instant song search, album cover support and much more. Perfect for professional mobile DJs, clubs, bars, restaurants, gyms & health club, retail stores or even just for home use. Uses the same technology that powers thousands of terrestrial and Internet radio stations in over 150 countries. Detect beats and use mixing tools for smooth transitions! Avoid dead air with the gap-killer. SAM DJ 2018.7 features a built-in advanced audio processor which will make your station sound incredible! Features an Equalizer, Gated AGC, Stereo expander, Bass EQ, 5-band processor, 2-band processor and clipper. The multi-band processors contain a Compressor, Expander and Limiter for each band! Drag & Drop your tracks where you need them – yes, its that simple! Load your song in multiple categories, or make use of one of the ‘Auto generated’ categories that instantly sorts your songs into various logical groups. Managing your media has never been this simple before. SAM DJ 2018.7 allow you to queue and position the next song while another song is playing – or let Auto DJ take care of it for you. Also allows for professional sounding cross-fading between tracks. The cue channel allows you to preview the songs over headphones before you play it live to the audience. Smart crossfader will automatically detect the very best point to start fading tracks, or you can manually specify the best point. The Gap killer will make sure there is no silence between tracks – providing uninterrupted music all the time… Configure the main SAM DJ interface layout to fit your style and needs. Have only the windows that you need active. The main SAM DJ user interface is totally configurable so that it can be set up to fit your style and needs. Have only the windows that you need active. You also have 3 working areas so that you do not need to cram all the windows into one working area. How To Install SAM DJ 2018.7? Download SAM DJ 2018.7 from below. SAM DJ 2018.7 Registration Key Download Link is Given below!